The City of Naples is 14.4 square miles and is one of three municipalities (Marco Island and Everglades City) located in Collier County. Incorporated 1923 (by special act), 1946 (charter adopted). 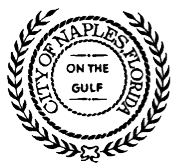 The Town of Naples was incorporated by a special act of the Florida Legislature in 1923 and the charter was adopted in 1946, changing "town" to City of Naples. As early as the 1880s, however, Naples served as a winter refuge for wealthy Ohioans and Kentuckians, who were attracted by its isolation, natural beauty and abundant wildlife. The original owners and developers of the community named the city after Naples, Italy. Hurricane Donna struck the community in 1960, causing major damage, but this damage resulted in the re-birth of community spirit and brought Naples to national recognition. Naples is the county seat. As of July 1, 2007, the U. S. Census Bureau estimated the city's population at 21,653. The economy of Naples is based largely on tourism and was historically based on real estate development and agriculture. Due to its proximity to the Everglades and Ten Thousand Islands, Naples is also popular among ecotourists.